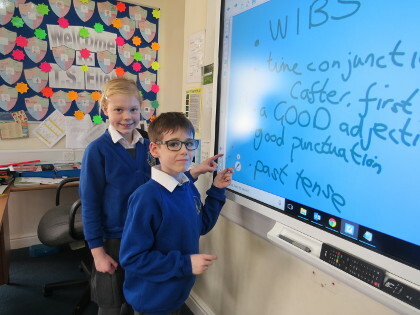 St Nicholas Primary School’s new super-clear classroom screens have helped learning — and the children love them. That’s the verdict on the four new classroom screens which replaced smart boards which took over from white and blackboards. Hurst Show & Country Fayre and the Hurst school’s PTA paid for two each. Headteacher Debs McGrail said: “We’re grateful to the PTA and to Hurst Show. “The screens, which are interactive, are far more up to date. Our previous boards were getting old and tired. We now have much sharper images and excellent sound quality, the best technology available. Hurst Show chair Sue Payne said: “We were delighted to help again. The show was started as a one day gymkhana in 1979 by school parents. “School parents, staff and children still play a huge part, erecting tents, running stalls and refreshments, singing and maypole dancing.